Rarely would you think the legal areas of workers’ compensation and constitutional due process would have anything to do with one another. But they did in one case in the area of attorney’s fees. Although the Florida Supreme Court made one of the most important workers’ compensation decisions back in 2016, which had to do with constitutional due process, the case is worth revisiting today. The story starts with the Florida legislature’s attempt to curtail workers’ compensation claims. To do so, they tried to limit claimants’ attorneys’ ability to get paid by instituting a mandatory attorney’s fee schedule based on the value of the benefits obtained regardless of how many hours the attorney devoted to securing those benefits. The fee schedule was based on the value of benefits secured and/or the settlement. This seems logical, except that it meant that workers with smaller value cases like seeking authorization of an MRI that has been denied, or have smaller damage amounts, would have a hard time finding attorneys, because no matter how long the attorney worked or how much of a fight the insurance company put up, the claimant’s attorney’s fees were capped at approximately 10% of the value of benefits. Insurance carriers knew that if they put up a big fight on smaller-value cases, it was virtually certain that the worker would not be able to find a competent attorney to handle the case. The claimant’s bar challenged the cap on attorney’s fees all the way to the Florida Supreme Court. The case involved a claimant’s attorney who, when the statutory attorney’s fee was applied to the number of hours worked, ended up being paid $1.54 per hour. The Florida Supreme Court held the attorney’s fee structure was an unconstitutional violation of due process, because it precluded an injured worker’s “day in court,” and evidence show that it was virtually impossible for an injured worker to navigate the workers’ compensation system without competent counsel. 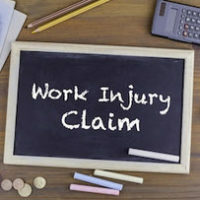 The workers’ compensation system was designed to provide workers expeditious medical and lost-wage benefits, which was a trade-off for a worker’s right to sue an employer directly for negligence. By restricting attorney’s fees, the statute actually made it more difficult to find an attorney, and, thus, harder to secure benefits. If you have been injured on the job, contact us today at the Celeste Law Firm for a free consultation to discuss your rights as an injured worker.